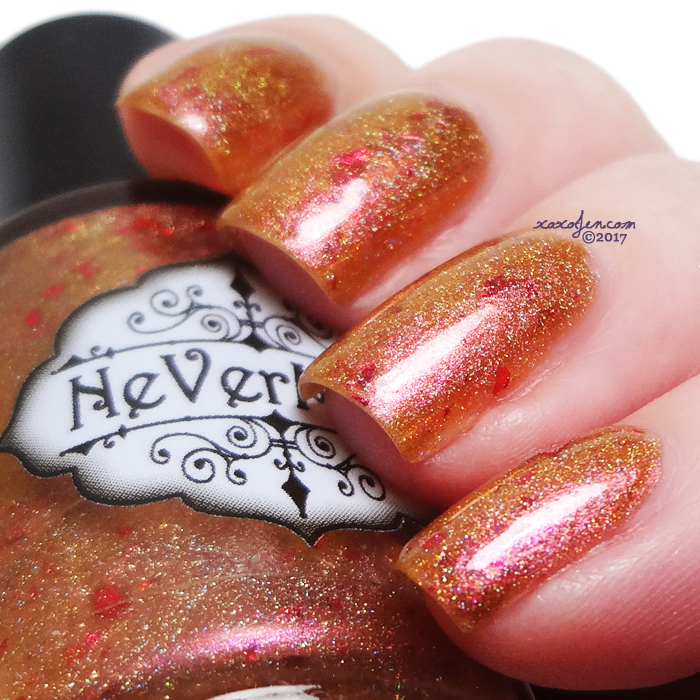 What a stunning shifty holo polish! Opaque in one coat, but I used two because I paint a little uneven sometimes and I didn't want to risk that for photos. I've mentioned in other Blush reviews but worth mentioning again, I'm absolutely in love with the brush! Super soft, flat a bit wide which makes the polish so easy to control. No clean up, cause the Blush brush is "all that and a bag of chips!" Super squishy crelly with sparks of holo shine. So delicate! Shown is two coats with topcoat. 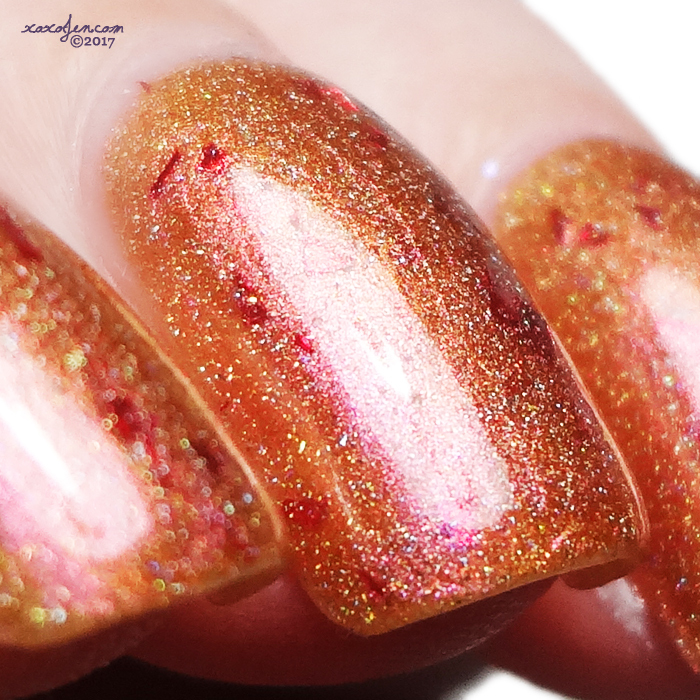 Penny Dreadful - A copper holo with a red-pink shift and metallic red flakies. 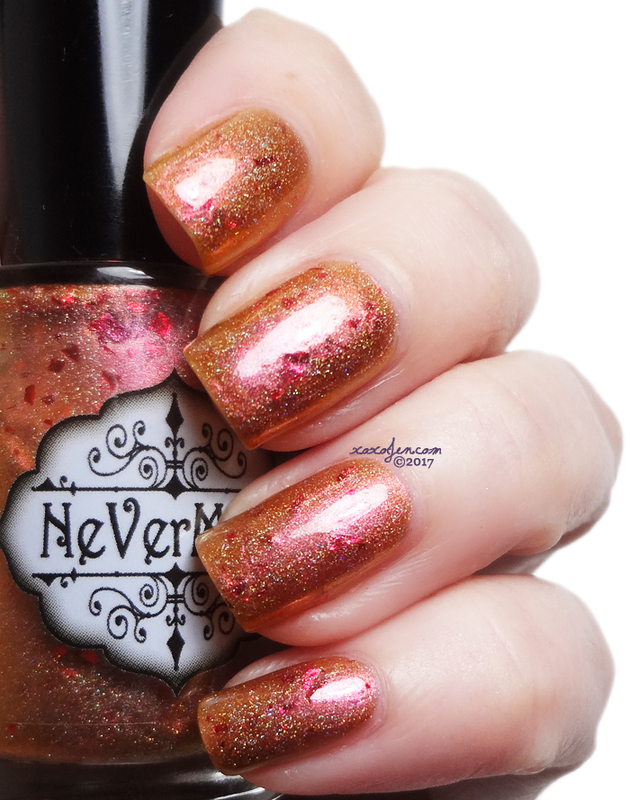 A bright coppery polish and just look at that holo rainbow bend! A little on the sheer side, shown is three coats with topcoat. 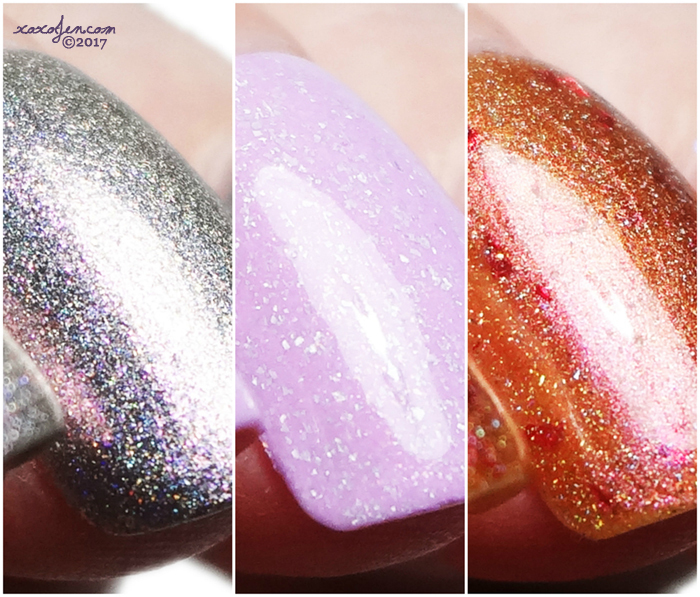 Each of these polishes have great formulas and are worn with KBShimmer Clearly On Top (qdtc) and Fillin Groovy (base). I hope you've enjoyed the review and photos - snag yours this Sunday morning after 8am Central over at http://polishconvention.bigcartel.com/products. They're available 9/3-9/9.